This city hotel, featuring a contemporary design, is situated on the A12 which is the main arterial road into the centre of the city. The 2012 Olympic Games site can be found within easy reach. The nearest underground station is also reachable on foot and provides direct access to Central London, Oxford Street and other sites worth visiting. 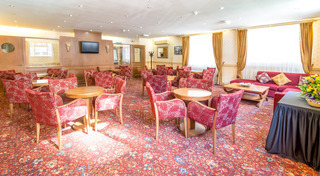 The hotel is located 46 km from Stansted airport and 55 km from Heathrow airport. Excellent location near of tube station and all the the facilities were fine.